One of the things my kids love to do in summer is blow bubbles. Such a simple thing, but it provides hours of entertainment. This project is blowing bubbles with a twist. We first made these foamerators last summer and they quickly became a big hit. 1. Cut the bottom off of the bottle. 2. Fold the washcloth in half and cover the bottom of the bottle with it. Secure with the rubber band. 3. Dip the bottle in some bubble solution or dish soap and blow! The foamerator creates long foam snakes. Lots of fun! That looks like a lot of fun! I'll have to try it out, as my daughter absolutely loves making bubbly messes. This looks like so much fun! My little girl is going to love it! Thanks for sharing! We just saw this in our Family Fun magazine. My hubby wanted to do it with the kids. Your daughter looks like she is having fun!!! Bubbles are a big hit here with my boys, I know they would love this! Yes! We love foamerators too and make lots and lots every summer. I planned to do this w/ my daughter nex week, saw it in Fam Fun magazine! Looks like so much fun! Okay, we've got to try that! My boys would love it. Wow what a neat idea. A new one to give a try. Thanks. Fabulous idea, my kids would love it. They're not successful yet with normal bubbles. My kids will love this, we will be doing this for sure. This looks like so much fun. I will have to try it with my daughter! Thanks! 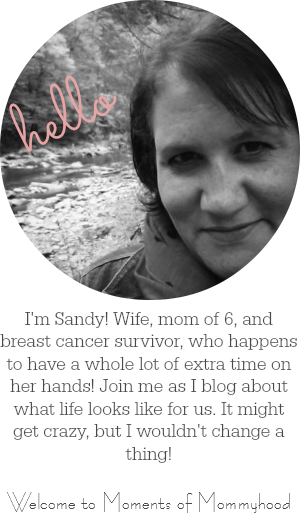 I am so glad that you stopped by my spot because I never updated my blogroll and haven't stopped by here in ages (since your Chicka Chicka Boom Boom post). VEry excited to be back!! Love this idea - will definately have to try it. What a fun idea, thanks!! what a very cool thing, who knew half a bottle, and a cloth could make something fun...very creative! What a fun blog! Very creative ideas! That is so awesome! I can't wait for my kids to try it. I found your blog from SITS and just had to follow. I really enjoyed your blog! I will soon have a place to advertise for FREE on my page so if your interested be sure to check back and watch for when that becomes available! Also I was wondering if you ever feature other blogs on your site? I would love to be featured if that's something your interest in! Email me at FaithPeasley@gmail.com if that sounds good! I think all my boys would get a kick out of this! What a great thing to do with those politically incorrect soda bottles! Thank you for the warm welcome to SITS.